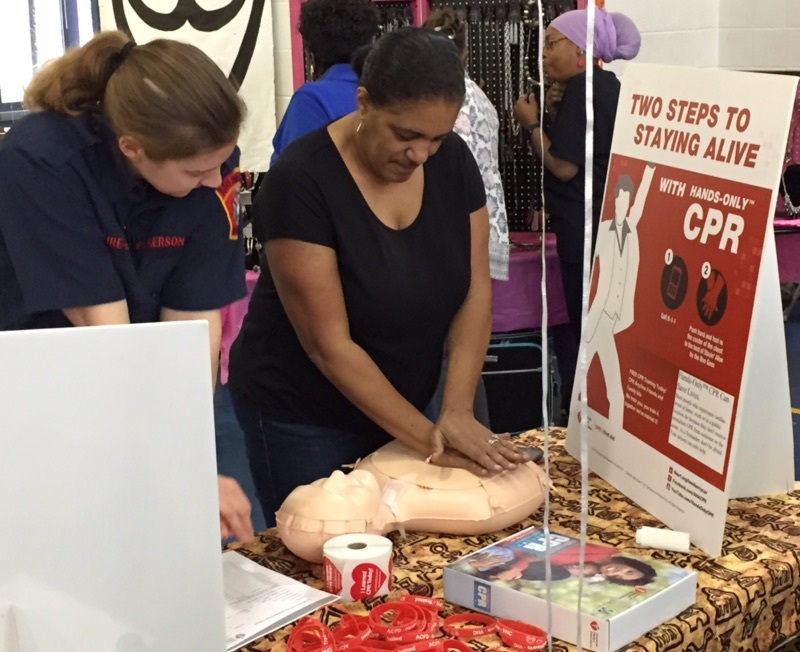 CPR, or cardiopulmonary resuscitation, is vital to saving the life of someone experiencing a sudden cardiac arrest. Bystander initiated CPR can double or triple the chances of survival from cardiac arrest. Cardiac Arrest and Heart Attack are the same thing. True or False? False – Heart attack refers to a lack of blood flow to the heart, commonly caused by plaque. A cardiac arrest is when the heart stops. A heart attack may lead to a cardiac arrest, but there are other causes. Cardiac arrest means the heart has stopped. When this happens the patient won’t be breathing. True or False? False – Agonal or gasping breaths are common after someone’s heart stops beating. If you wait until the breathing stops, brain death has already begun. AEDs are medical devices that should only be used by trained responders. True or False? False – AEDs are intended to be used by the general public and significantly increase the chance of survival from cardiac arrest. Proper chest compressions may break cartilage or ribs. True or False? True – Chest compressions should be 2-2.4” deep in an adult. Sometimes this causes separation of the sternum or ribs and feels like bones are breaking. This is normal and compressions should be continued. Bones can heal once you save their life. The Good Samaritan Law protects me if I hurt someone in cardiac arrest. True or False? True – If it is not your job to do CPR, but you use it to save someone’s life, you are protected by this law. Please click one of these links if you or your group is interested in learning to save a life. 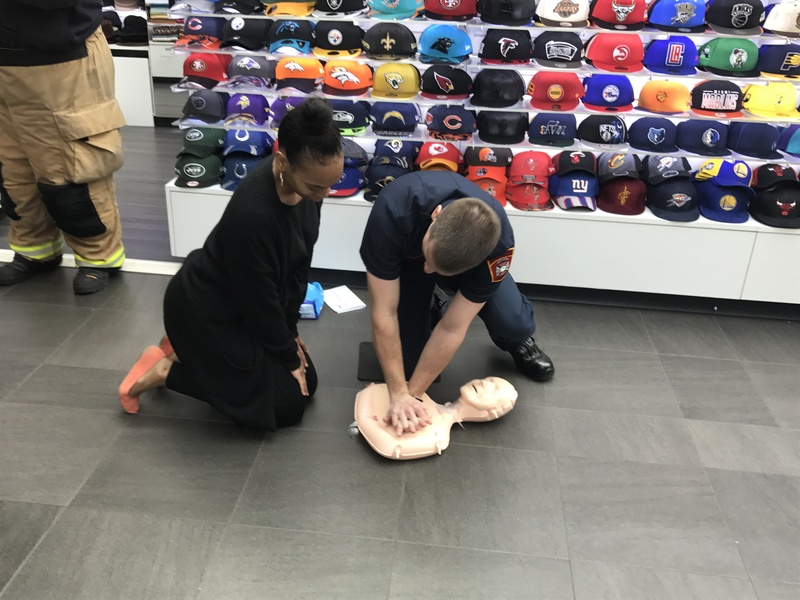 The Arlington County Fire Department and Virginia Hospital Center have partnered to form a community CPR program called Hands2Hearts. The focus of this program is to train people how to recognize a cardiac arrest, request help, and initiate hands-only CPR. If your group is interested in hosting Hands2Hearts at your location, please fill out the form below and someone will contact you. Please note this is not a certification class. Those wanting to be certified should click here to review those options. 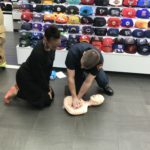 The Arlington County Fire Department does not offer CPR certifications to the public. However, American Heart Association classes are offered through most hospitals, to include Virginia Hospital Center, 703-558-5289, cpr@virginiahospitalcenter.com. The following organizations can provide more detail on options available, to include other training sites. 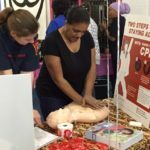 Individuals and families looking to learn at home may purchase American Heart Association’s CPR Anytime kits.